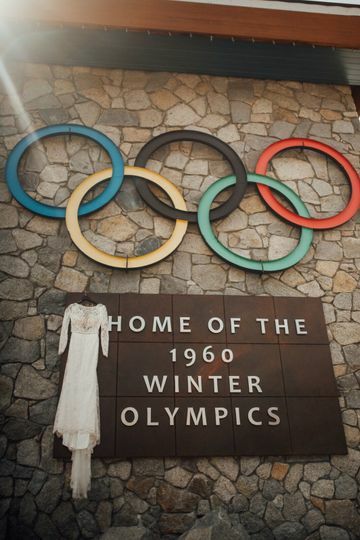 Squaw Valley Alpine Meadows is a hotel wedding venue located in Olympic Valley, California, which also serves the Reno area. This ski resort is situated right at the foot of the Sierra Nevada Mountains, providing visitors with awe-inspiring views everywhere they turn. These dramatic snow covered peaks are definitely something couples and guests will not soon forget. 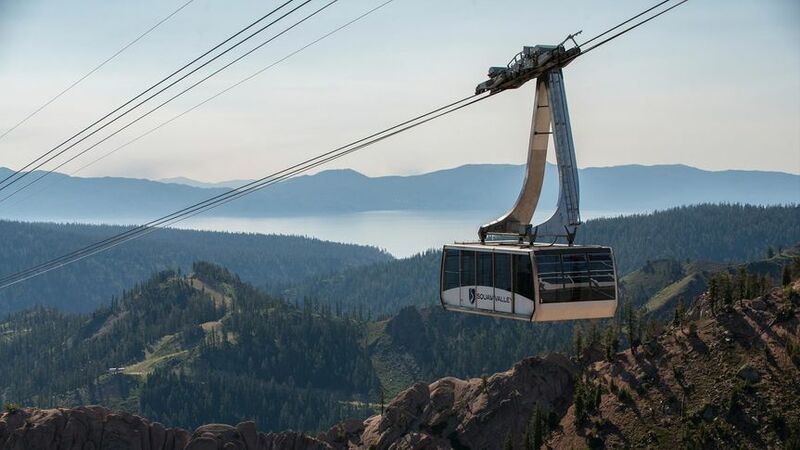 In addition to having these mountain views, you will also be able to enjoy being situated right near Lake Tahoe. 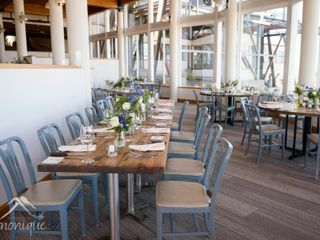 While this venue is perfect for hosting the rehearsal dinner, ceremony, and reception, it is also also a fun-filled site that your entire wedding party will enjoy before and after the wedding. 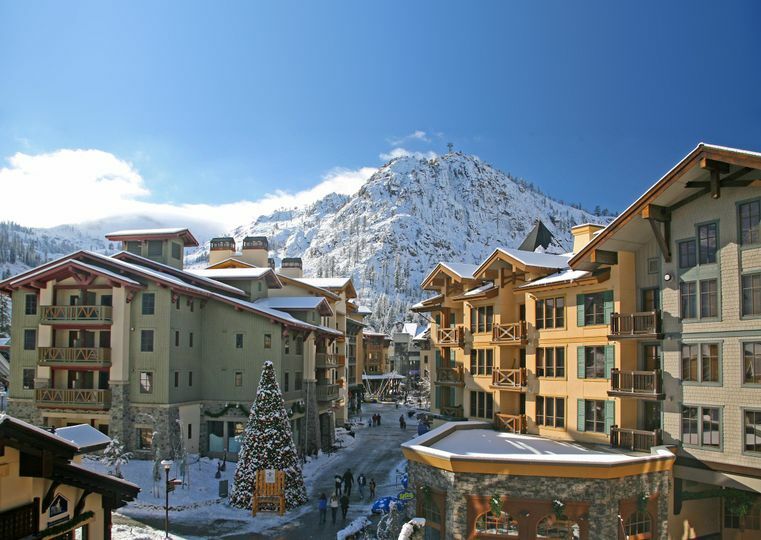 The Squaw Valley|Alpine Meadows offers a variety of site options for couples to choose from. In fact, there is a total of seven spaces made up of not only indoor, but also covered outdoor and uncovered outdoor wedding sites. Whether you are hosting a small wedding or one with up to 300 of your friends and family, you will find the perfect site. 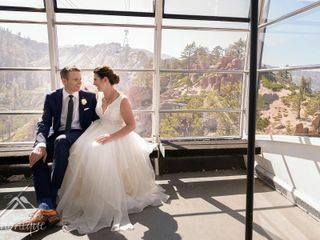 There are mountaintop venues and mountainside venues as well as a garden area. 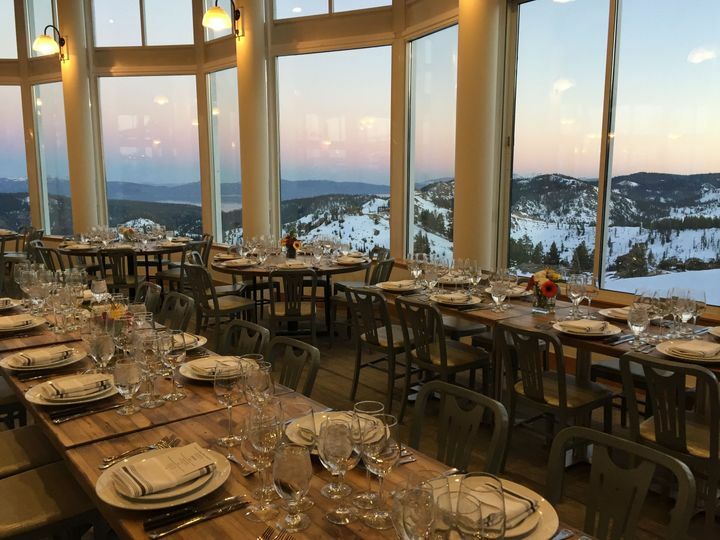 There are also areas set aside, such as the Squaw Valley’s High Camp, perfect for hosting receptions. 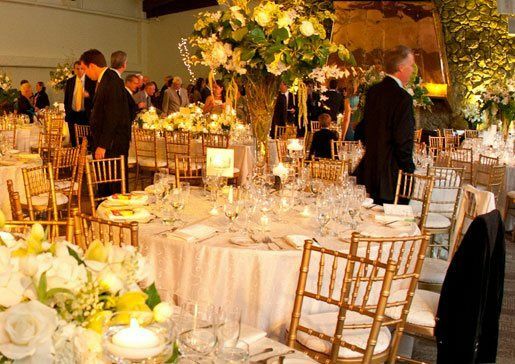 The venue also offers accommodations for both couples and guests. The hotel has undergone many renovations and improvements and offers many spacious and stylish suite options for you to stay in. The venue also comes come complete with features like a dining area and full kitchen so that you are comfortable during your stay. Couples and guests will also be able to enjoy many outdoor activities at the hotel ranging from roller skating to a ropes course to golf. 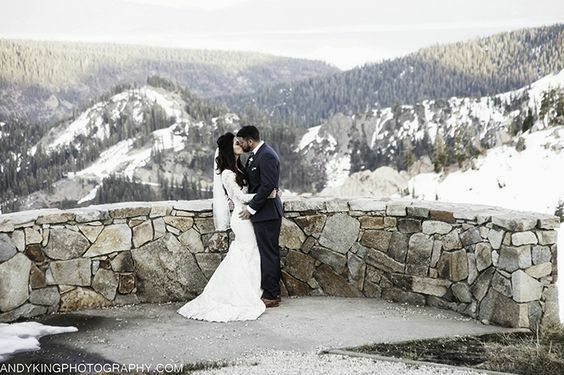 The team at Squaw Valley|Alpine Meadows work closely with each couple to ensure every detail is perfect as they are preparing for and planning their dream wedding. They can assist with providing you with pieces ranging from tables to chairs as well as details like glassware and lighting. For your convenience, the property also has plenty of parking and wheelchair access. Katie was very professional and nice to work with. We received so many compliments from our guests that the garden at OVL was such a beautiful place. Our goal was to having a wedding in a place where we could hang out with our guests all weekend and the Village provided the perfect place for this, since bars and stores were open, no one had to leave the area. It was exactly what we wanted. So far they have been great to work with and we can't wait to have our rehearsal event at the Olympic House next month! 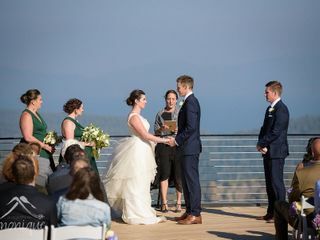 Our wedding at Squaw Valley was everything we could have wanted and more! 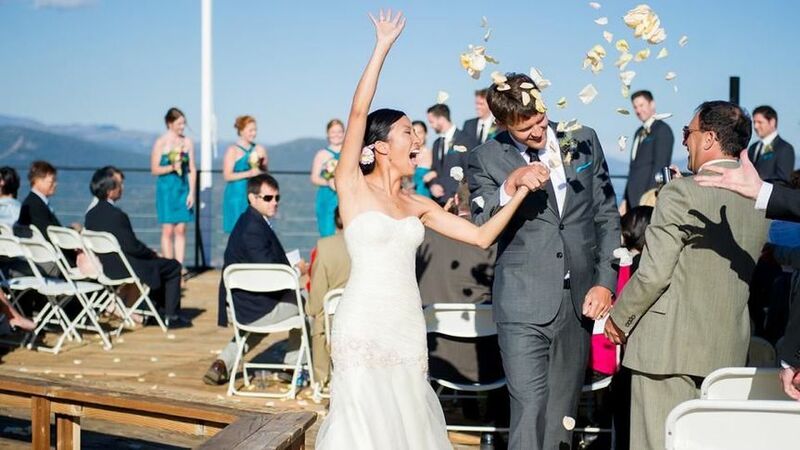 We got married at High Camp on August 17th, 2013, and our reception was on the KT deck. 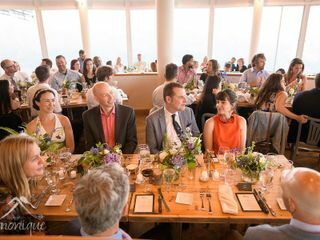 We had 105 guests and everyone raved that they had a great time! 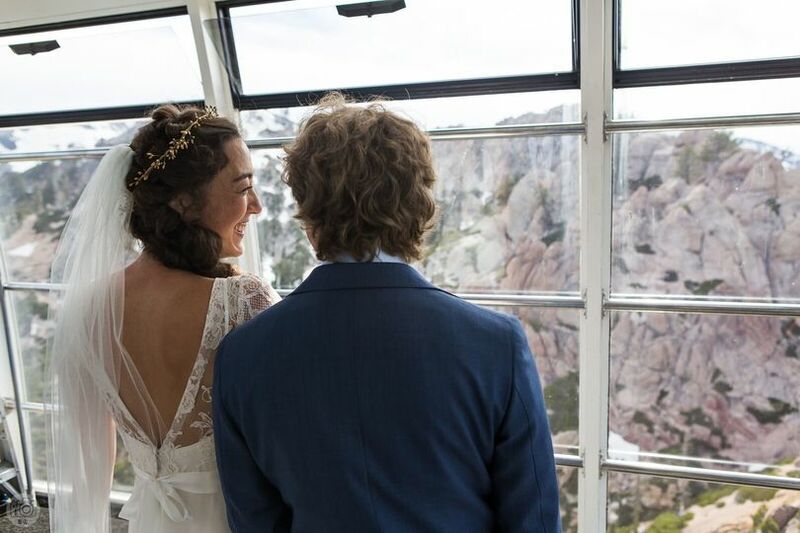 We are avid skiers at Squaw Valley and this resort has meant so much to us for a great while now, but the support Squaw gave us during the wedding process and at the wedding makes us forever fans! From the beginning they made the planning process enjoyable. The tours and the personalized sit down taste testing with the chef and my parents were so special. All of the emails exchanged and the openness to respond to my phone calls were so appreciated! We are especially appreciative of Sarah Winters, planning manager at Squaw, who worked hard to make everything come together seemlessly! The food was delicious and everyone raved! Our DJ and other venders were able to work with Squaw easily. And most of all, the availability to all of the venue locations was a dream! Most of our guests stayed at The Village at Squaw Valley, and some guests stayed in cabins nearby. The two families and friends were able to walk to each other’s hotel rooms and spend time with each other in the suites and local shops. The rooms and accommodations were perfect! Everyone was blown away by the views and felt so comfortable in the rooms. This detail could have easily been overlooked, but it ended up being more impactful to the weekend than we had thought and we were so pleased! Our budget was tight, and we were able to incorporate do-it-yourself details (florwers and cup cakes) to make the wedding affordable. 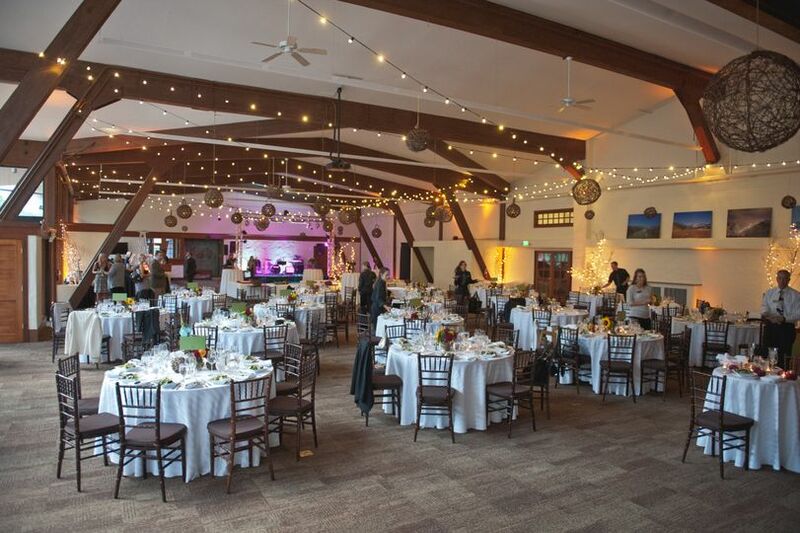 Having Squaw do everything from venue set-up to catering food and beverage made it easier on us too. We really couldn't say enough about all of the details! Thank you Squaw! !